Hazel Rose Markus is a social psychologist and cultural scientist recognized for her research on how cultures shape selves and on the role of selves in regulating behavior. Her work examines how nation, region, gender, social class, race, ethnicity, religion, and occupation influence thought, feeling, and action. Recent research focuses on sociocultural variation in agency and on interventions that can foster agency and remove barriers to agency. She is the Davis-Brack Professor in the Behavioral Sciences at Stanford University, co-director of SPARQ: Social Psychological Answers to Real-world Questions, and the former director of the Research Institute for Comparative Studies in Race and Ethnicity. She received her B.A. from California State University at San Diego and her Ph.D. from the University of Michigan. 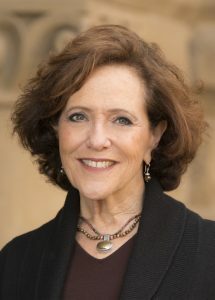 She is the recipient of the American Psychological Association’s award for Distinguished Scientific Contribution, the Donald T. Campbell award from the Society for Personality and Social Psychology (SPSP) for contributions to social psychology, and the APS William James Award for lifetime achievement for basic research. She is the former President of SPSP, and is a fellow of both the American Academy of Arts and Sciences, and the National Academy of Sciences. * FABBS would like to thank Dr. Shinobu Kitayama for nominating Dr. Markus for this honor and for leading the effort. Would you like to honor Dr. Markus? It’s not too late to have your name added to the list of donors! You can make your donation to Dr. Markus’ In Honor Of… campaign at anytime.